This amazing woman of God does something each and every day to help people who are in need. 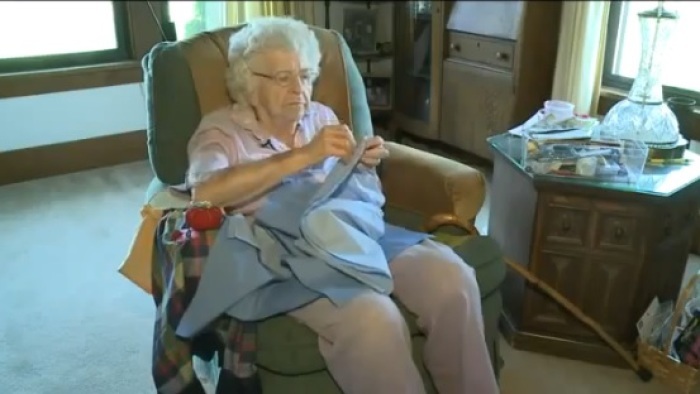 99-year-old Lillian Weber has been making a dresses every day for years to give to poor children. The charitable organization "Little Dresses For Africa" is who receives the dressed from Lillian. It is a blessing to have someone like Lillian to use her talents to help others become more fortunate. God sends people like this into our lives to inspire us to live a life full of giving and love. She plans on continuing her selfless contributions even after she turns 100 next year.